Maintaining a consistent image across all communication media is an important aspect when it comes branding. One of our clients, Valor healthcare, recently introduced an new logo and were eager to update their web site with their new identity. 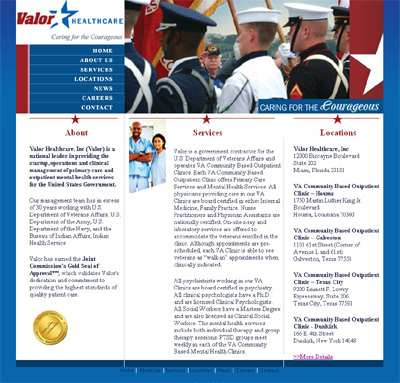 The introduction of the logo on the web site was also combined with a freshenup-up of the header graphics bringing the site in line with the imagergy Valor Healthcare use in their print material.